Researchers examined 35 men with prostate inflammation. They found that the men with the most severe prostatitis also showed signs of periodontal disease. Periodontitis has been linked to other health problems, including heart disease and diabetes, so researchers suspected a possible connection to prostate disease as well. This study compared levels of prostate-specific antigen (PSA) – an indicator of prostate disease – with the clinical attachment level (CAL) of the teeth and gums and teeth – indicating possible gum disease. The research about prostate health and gingivitis was conducted by periodontists at Case Western Reserve University School of Dental Medicine and has been published in the Journal of Periodontology. This finding supports the belief that oral health and whole-body health are deeply connected. 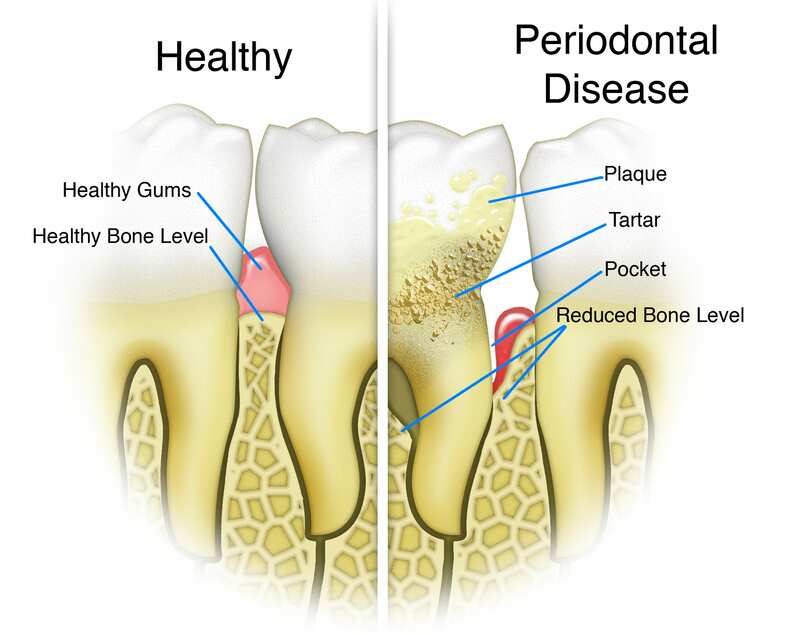 Gum health problems – not just full-blown periodontal disease, but the bleeding gums, swollen gums or receding gums that can indicate gum disease – can indicate the presence of other inflammatory issues.